SOURCE: “Ernest Hemingway Talks of Word and War” by Robert Van Gelder, New York Times (August 11, 1940). NOTE FROM INTERVIEWER: The talk was a mixture of Spanish, French, and English. Each comment that Hemingway made on his writing he prefaced with an explanatory speech to Gustavo Duran, the former pianist and composer, who had developed as one of the most brilliant of the army corps commanders on the Loyalist side of the civil war in Spain. 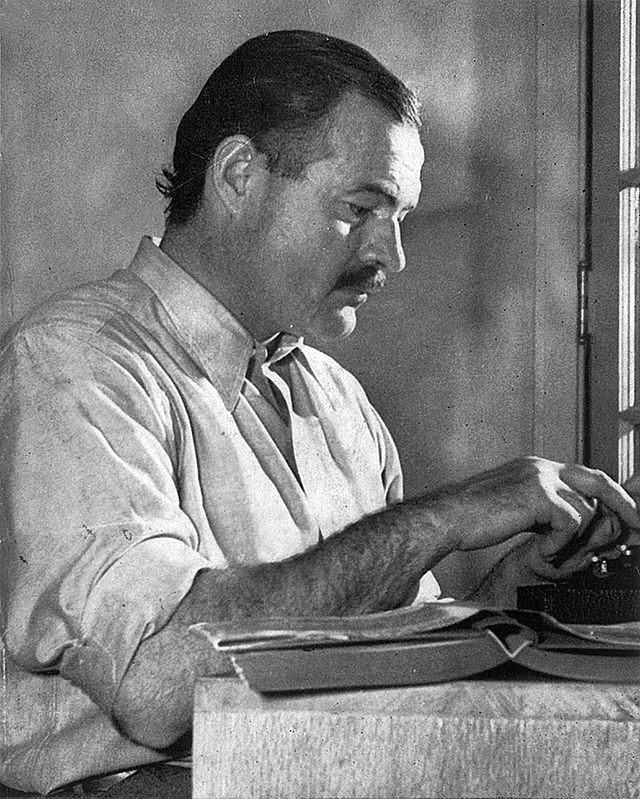 IMAGE: Ernest Hemingway posing for a dust jacket photo by Lloyd Arnold for the first edition of For Whom the Bell Tolls, Sun Valley Lodge, Idaho, late 1939. 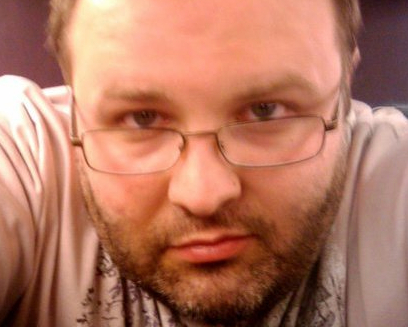 ABOUT THE AUTHOR: Steve Bogdaniec is a Chicago-based writer and teacher, currently teaching at Wright College in Chicago. Steve will write just about anything: he has had poetry and short fiction published in numerous journals, and recently wrote a monthly movie feature covering movie sequels. Follow him on Twitter! Just kidding—he never posts anything there anyway.